I have a very deep love of coconut milk. I love the taste and how it adds a creamy texture to dishes that other non-dairy milks and creams don’t. It’s great in soups, curries, drinks, baked goods… you name it. I don’t exactly know what this dish is: soup? Pasta? 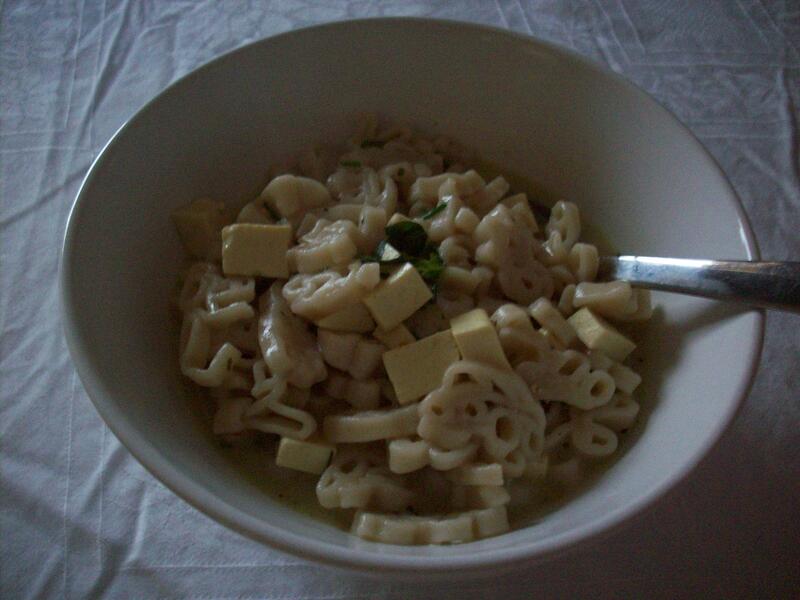 It’s got a bit too much liquid to call it a pasta dish, but not enough to be a soup. Either way, it’s delicious and simple, and all the fresh herbs in it make it the perfect thing for a summer meal. Bring a medium-sized pot of water to boil and add the pasta. Cook for as long as the directions on the package tell you to. In another medium-size pot in the meantime, heat the coconut milk and curry over medium heat, stirring to combine. Add the veggie broth and salt, and bring to a boil. Lower to a simmer and add the tofu. Once the pasta is done, drain it (if you used brown rice pasta, like I did, I also recommend you rinse it with hot water. 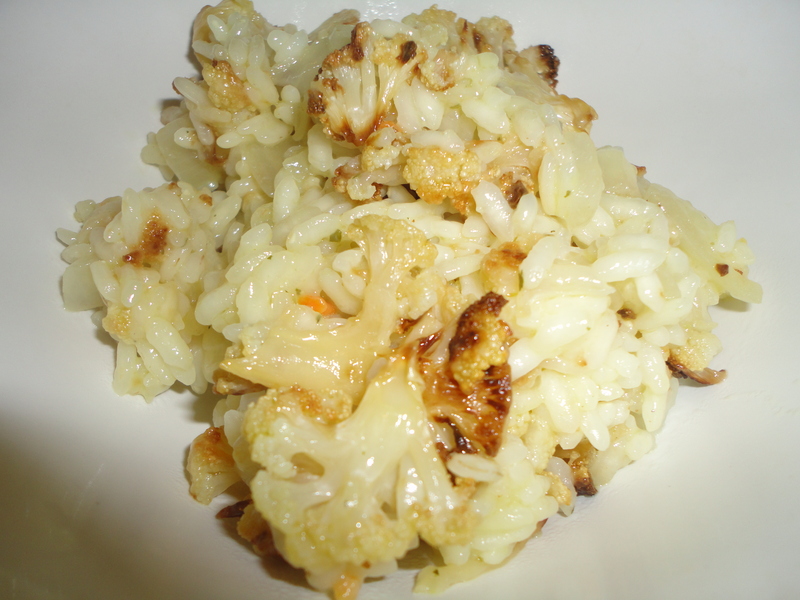 I find that it gets too sticky and lumps together otherwise, especially the next day when you’re eating leftovers!) and add it to the coconut milk mixture. Right before serving, add the fresh herbs and stir to combine. Add a pinch of crushed red chile peppers to each bowl to serve, and enjoy! I’ve been cooking and baking a lot from food blogs lately, and wanted to share some of those successes! 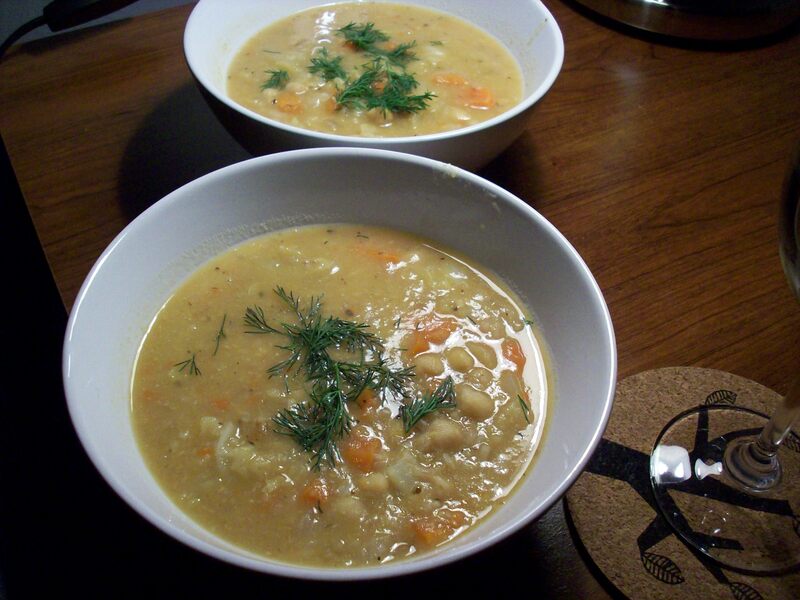 First is this Chickpea Rice Soup with Cabbage from the Post Punk Kitchen, which is so delicious and hardy. A good soup those April evenings that are still on the cool side. Next is this delicious Broccoli Soup with Lemon Chive Cream from Orangette. It’s a bit lighter, and a great use for all the leeks I kept getting in my organics box! If you haven’t visited Oh She Glows yet, go now! 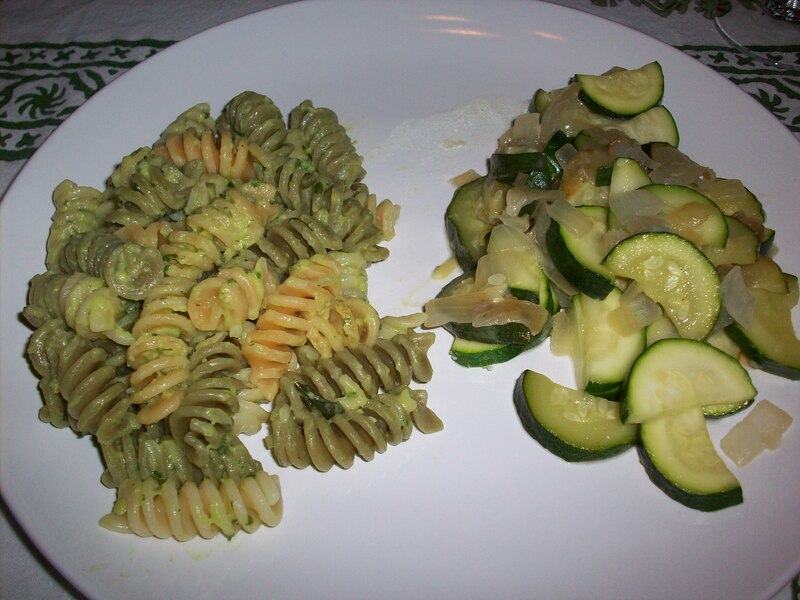 This Creamy Avocado Pasta is quick, delicious and versatile. 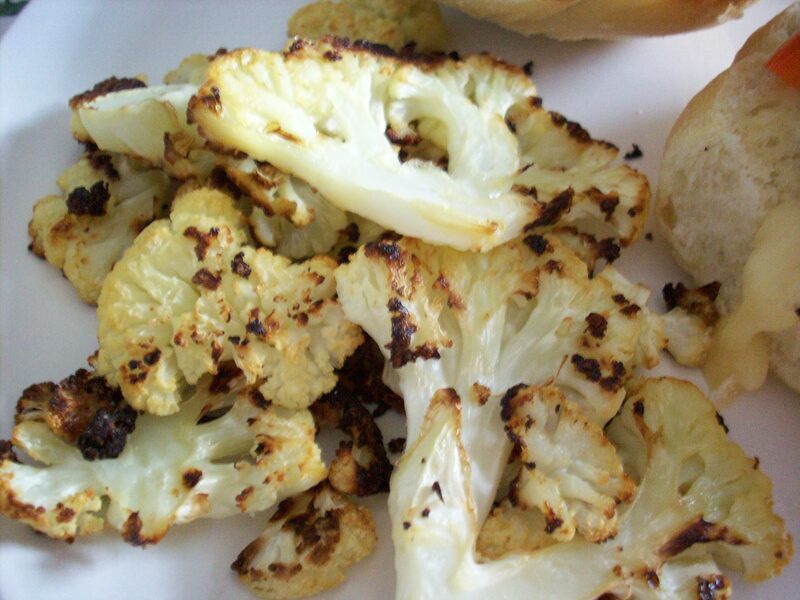 You can make it just like this, or throw in some sauteed or roasted veggies. 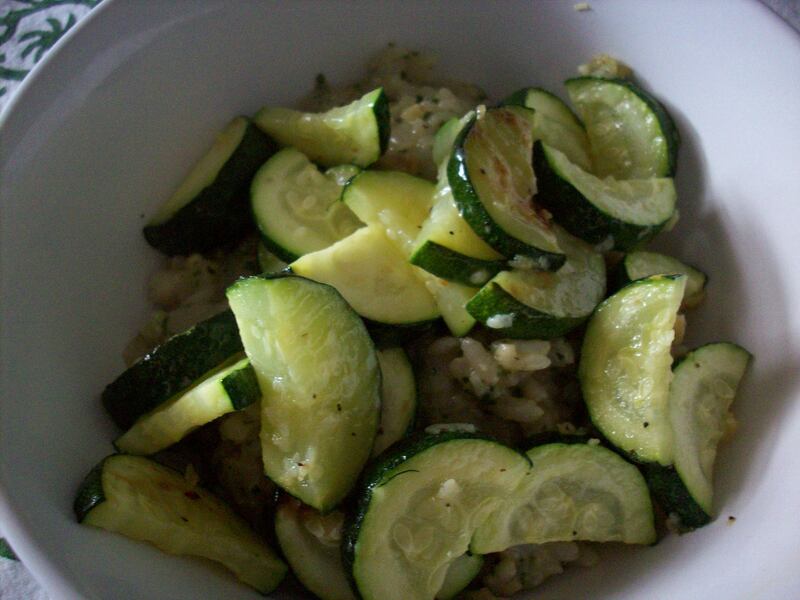 Speaking of delicious vegan recipes, this pesto risotto with roasted zucchini is to die for. For a delicious snack that’s quite filling and easy to make (although it takes awhile), these candied almonds are perfect. The original recipe calls for walnuts, uses eggs and is made in the oven. 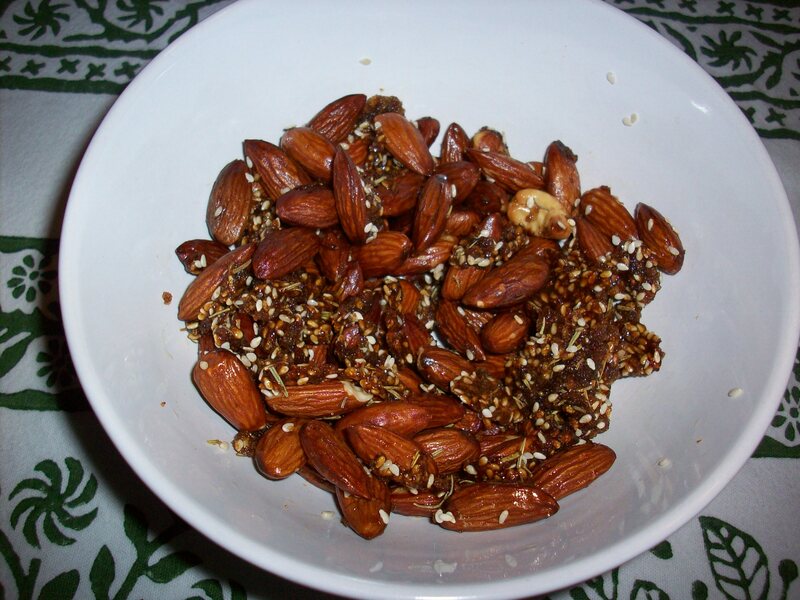 I used almonds, added a bit of oil instead of egg and made them in a skillet in the stove top. Last, but certainly not least, these Szechuan Noodles! So easy and good! Annie’s Eats always provides winning recipes. I am a huuuuuuuge soup fan, year-round. 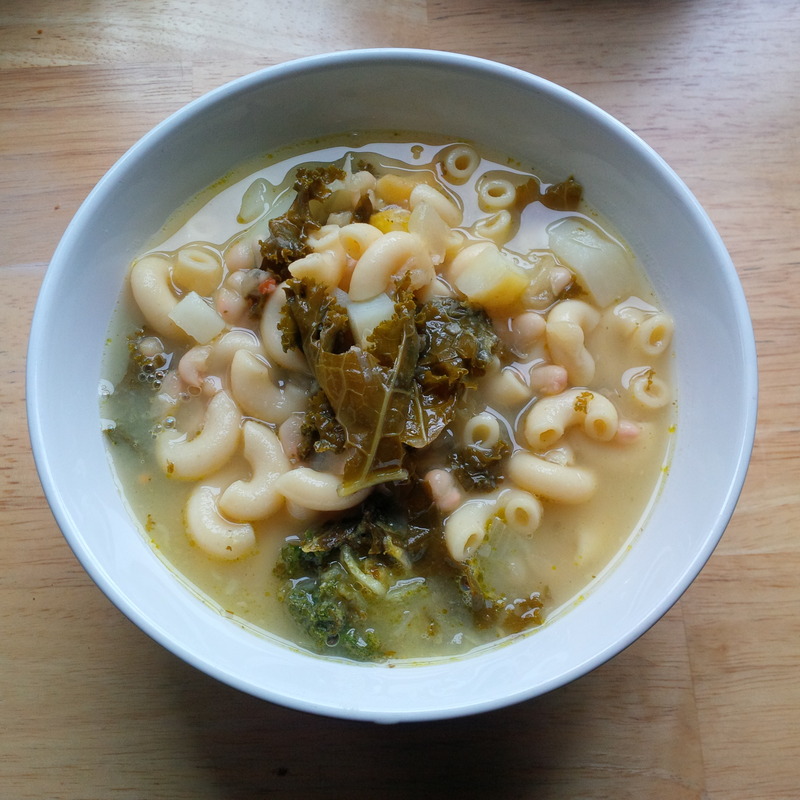 In the winter I love thick, almost-stews filled with hearty veggies. 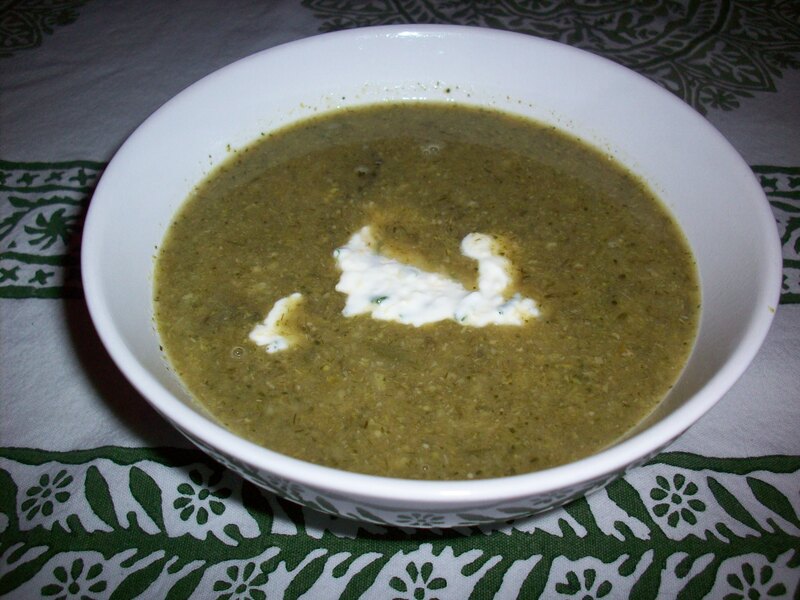 In the summer, it’s chilled cucumber and avocado soups, pureed extra smooth. Fall is the time for soups with squash. And the spring? 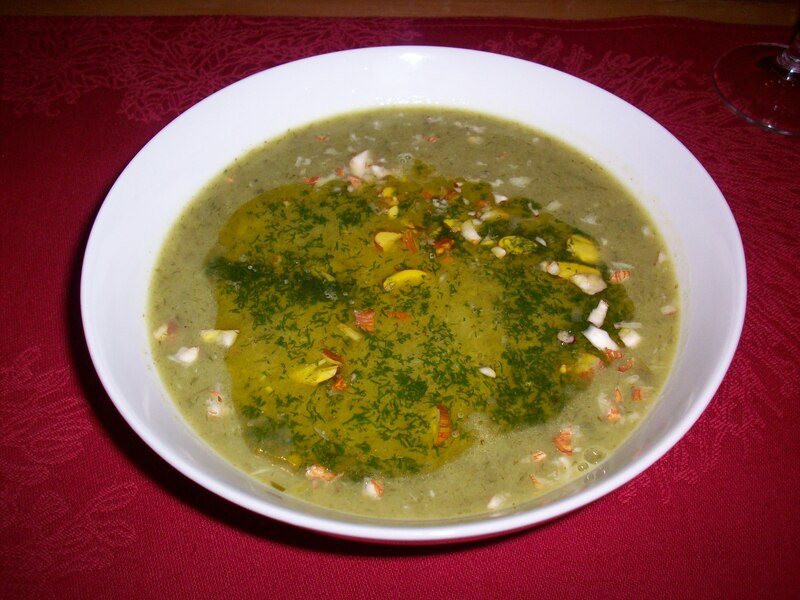 Green, nutty, DELICIOUS soups like this one from 101 Cookbooks. In a small food processor, combine dill and olive oil until it’s very creamy. Set aside. Trim the roots and dark green parts off the leeks, wash very well (leeks are notorious for harbouring dirt). Chop. In a large pot over medium heat, melt the butter and combine it with 5 tbsp of the oil. When the mixture is bubbling, add the leeks, a couple pinches of salt, and stir well. Cover for 6-8 minutes, stirring occasionally. Add the potatoes and garlic; cook for 15-20 minutes, stirring occasionally, until potatoes are very soft. 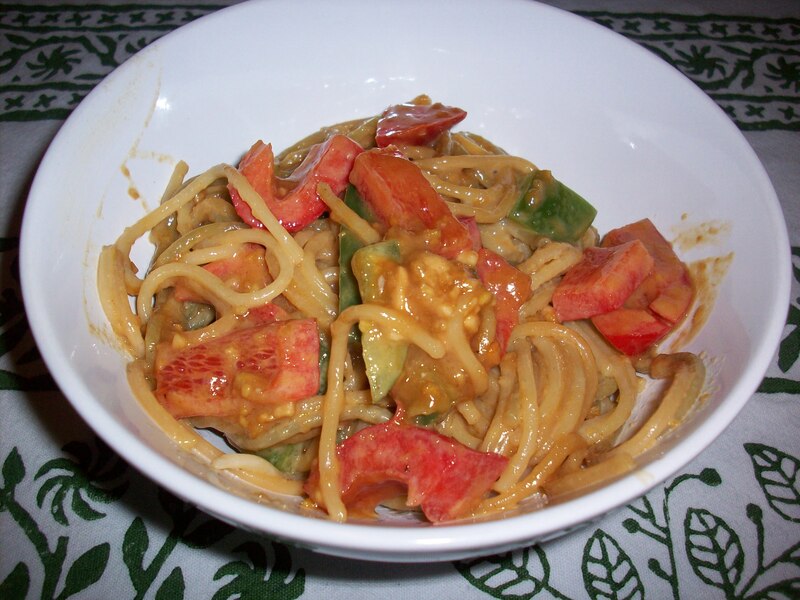 Add the vegetable stock and puree with an immersion blender to the desired consistency (I made mine very creamy). Heat through and top with almonds, cheese and dill oil. Enjoy!